I haven't dreamed of flying for a while. By Taichi Yamada At it's core this is a love story & as in the experience of love/passion itself, you live in a heightened reality that follows it's own logic, sitting outside everyday mundanity.In this beautiful tale, we have Taura, a 48 year old deputy director in a company that builds pre-fab houses and Mutsuko, a 67 year old grandmother. Both appear to be cast adrift from their own lives. They meet in a hospital & after a series of awkward moments they have a spoken sexual encounter whilst separated by a screen. The next morning a nurse moves the screen and Taura sees this wizened grey old lady.After leaving the hospital, Taura again encounters Mutsuko, she is now physically younger by about 20 years, they then, consumed by passion, embark upon an affair. A sense of dread slowly pervades this relationship as Mutsuko each time they meet is physically younger, although remaining a 67 year old grandmother. As I'm reading this. I start to worry that we are heading into Nabokov territory, as Mutsuko appears as a beautiful teenager. "I pulled a blanket over her naked shoulder & felt like a father fixing the blanket of his child - even though only a moment before, had been inside her"Taura, as well as myself, are left wondering what will happen, "will she next be a child & after that? 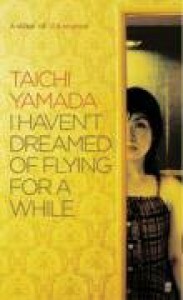 "This novel by Taichi Yamada is the 2nd book I've read by him and as with the first, (Strangers), there is an interstitial tear between the characters and the real world they would normally inhabit. 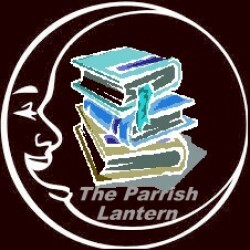 This device, this heightened magic realism, drives the story forward relying on the conflict between reality and unreality, allowing us to focus on Taura and Mutsuko's tale.It treads the borderline between the supernatural & reality, never really answering your questions such as, why is this happening to Mutsuko, is it caused by Taura or their relationship & what will happen?Like Taura, we watch it slip away never really understanding, though still haunted.